A person tries a car door handle. 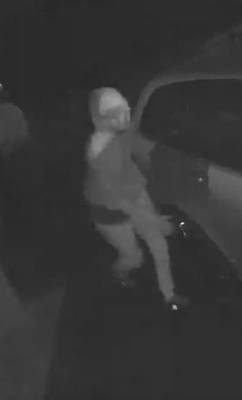 Would-be thieves have been caught on camera prowling the streets in Clyde North while trying door handles of parked cars during the early hours of Tuesday 4 December. 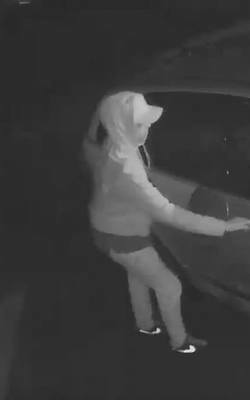 The footage captured from a resident’s home in Selandra Boulevard showed one the thieves getting into his wife’s car, a Toyota, which had been accidentally left unlocked. “They saw it was unlocked and went through the glove box, looked in the back seat; nothing standing out so they just went onto the next one,” said Pete, who asked not to reveal his surname. He said they also tried the door handle of his locked Commodore parked in the driveway. “They weren’t smashing windows or anything,” he added. The footage was shared on Facebook’s Casey Crime Page in the hope that anyone with information may be able to assist police. 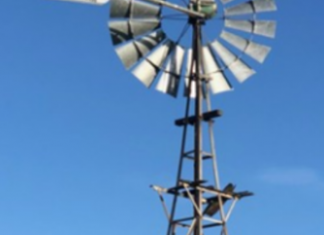 According to data from the Crime Statistics Agency, there were 73 incidents reported of theft from motor vehicle in Clyde North during the year ending in June.